Pequeño dispositivo, gigante resolución. La nueva versión del pequeño iPad trae ahora display Retina, pero también es mas grueso que su predecesor. Apple también le ha otorgado al chiquillo su procesador de 64-bit A7, de modo que está al mismo nivel que su hermano mayor. ¿O no…? Which of Apple's flagship iPads is best for you? Think carefully before committing all that money, and focus on the physical differences, which affect both your screen space and the portability of your device. When discussing new 'form factors' we often advise readers - assuming they can't pop into an Apple Store and feel the devices for themselves - to mock up cardboard effigies of the two items under consideration (using the dimensions above) and play around with them. See if it fits in that bag you like. Imagine watching a film on the screen. Try to work out if it's right for you and your lifestyle. The iPad mini (2012) was an iPad 2 experience in a smaller form; unable to run iOS 7 properly with all of the animations and transparency effects smoothly and fluidly. But even, so it sold millions. People clearly wanted a smaller iPad. The iPad mini with Retina display improves upon the iPad mini (2012) in every way. It’s now equally as fast as the iPhone 5s and iPad Air with the same A7 processor, M7 motion coprocessor, 1GB of RAM. It’s so fast, it’s obvious that Apple designed this device with the future and iOS 8 in mind. iPad Air vs iPad mini 2 Retina comparison review: Which iPad is best? Which iPad would we recommend? Obviously that depends on your needs. If portability is top priority, the iPad mini 2 remains the best option, although the iPad Air is so much slimmer and lighter than previous 'full-size' iPads that it's close to catching up. The iPad Air can be used one-handed for quite a long time without tiring the arm, which makes it great for reading - although if that's all you want to do with your iPad, you could save some money and just get the old iPad mini (or a Kindle, at that). The A7 processor on the new iPads make them superb games machines, and ideal for photo and video editing, especially for the next few years as such apps get more demanding. Other tablets are substantially cheaper, but the iPad mini is more powerful and longer-lasting, and the sheer quantity and quality of choice in the Apple App Store remain ahead of rival devices. If you can afford it, this is the best compact tablet going. Overall, the iPad mini 2 represents a huge improvement over the original. The increase in price is just about justified as everything about the iPad mini 2 from the build quality to display oozes quality. It's not as good valaue for money as the Nexus 7 (2013) or as versatile as the Galaxy Tab Pro 8.4in, but the mini 2 is a fantastic tablet. The addition of the Retina screen is a real boost to the 8in tablet range from Apple, and it’s impressive that this extra-high quality display and faster processor haven’t dented battery life. We’d definitely award the iPad Mini 2 our top score if it wasn’t for the even higher starting price now attached to the device; it’s a premium 8in tablet but at a very premium cost. iPad mini 2 Retina vs iPad Air comparison review: Which new iPad should I buy? Which iPad would we recommend? Obviously that depends on your needs. If portability is top priority, the iPad mini 2 is still the best option, although the iPad Air is so slim and light that it's close to catching up; the iPad Air can be used one-handed for quite a long time without tiring the arm, which makes it great for reading - although if that's all you want to do with your iPad, you could save some money and just get the old iPad mini. The A7 processor on the new iPads make them superb games machines, and ideal for photo and video editing, especially for the next few years as such apps get more demanding. But the iPad Air has the larger screen to go with those activities - we'd rather edit movies on a 9.7in screen, and games are more immersive on the larger device. Hopefully we've summarised the strengths and weaknesses of Apple's new iPads effectively, but our last word would be this: if you heart is set on one of the new iPads, is portability or the screen your first priority? The two lines have got closer on both fronts, but the iPad Air remains the best option for a stunning visual experience, while the iPad mini 2 is a great buy if you want to slip a fast, powerful computing device in a handbag or rucksack pocket. There's no doubt in our mind that the iPad Mini with Retina Display is the best small tablet. It perfectly balances screen resolution and size with portability, with Apple producing a tablet that fits comfortably in one hand. Build quality is excellent, too, putting this tablet above the cheaper, but still great, Google Nexus 7. Most importantly, with this model Apple has removed any compromise between this and the iPad Air. Personally, we slightly prefer the larger screen of the Air, especially as that tablet doesn't feel a lot bigger than the Mini. Still, if you want to save a bit of money or need a tablet that can be used comfortably in one hand, the iPad Mini is a brilliant choice. If it’s a smaller, lighter iPad you are after you can’t go wrong with the new iPad mini with Retina display. It’s better than last year’s model in all the ways that really matter, especially in terms of the screen and the speed. While the iPad mini costs slightly more this year than the original iPad mini did at launch, we think the increased cost isa small price to pay for the updated technology. While it would be nice if the iPad mini 2 had slimmed down, it’s hardly fat, and the iPad Air is practically the same thickness. The new iPad mini is a tablet for which many people have been waiting eagerly. With it's 'better than HD' Retina screen and new, much faster processor, it's a considerably better tablet. But it's also more expensive, while the old model is still on sale at a lower price.Maybe you already own an iPad mini and are wondering whether to upgrade. The decision isn't easy, but we're here to help. Read on to find out whether to buy an iPad mini 2 or not. From a design standpoint, there’s really nothing to see here that wasn’t seen already in the initial version of the iPad mini, but the overall package is far more compelling. The form factor suits those who are only interested in smaller tablets that can be used in one-handed operation, but more importantly, the iPad mini with Retina display offers plenty of reasons for those who ignored the first edition to finally bite. It’s clear after using the device that the iPad mini with Retina display is the best small-sized tablet that money can buy. Its build quality is second to none, combining a portable form factor with premium materials, and performance that is on-par with the iPad Air, which is exactly what you want to see despite its smaller size. Apart from the performance, the key improvement over the first-generation iPad mini is the display, which packs 3.1 million pixels into a 7.9-inch 4:3 panel. The crispness is certainly eye-catching and fabulous for reading text, and while the display is not without its flaws (gamut-wise), it’s reasonably easy to simply gloss over them. Of course it’s entirely up to whether you prefer the size of the iPad mini or iPad Air, but the former excels in the small-tablet arena. The iPad Mini with Retina display is such a huge improvement over the original that it is hard to use the new one and even consider looking at the older one. In essence, Apple has taken all the things they did with the iPad Air and then offered them in the smaller tablet and with a $100 lower price than the Air. The display in particular is incredibly sharp and a beauty to behold. Would I recommend the new Mini? To anyone already in the Apple ecosystem, yes; to OS-agnostic new buyers, no. The new iPad Mini is a very nice mid-size tablet, but I honestly can’t see a reason for Joe Soap to favour one over, say, the Nexus 7, or the Kindle Fire HD or HDX if you don’t mind being tied to Amazon. That’s not because the Mini is an inferior product, simply because it’s a much more costly one. If it wasn’t for the tiny niggles of colour reproduction, performance and price, we’d give the iPad Mini with Retina display the overall tablet crown. Colours look slightly more vivid and accurate both on the iPad Air (which also performs ever-so-slightly better) and key, cheaper rivals such as the Nexus 7 and Kindle Fire HDX. Then there’s price - now we know the Mini isn’t quite as good as the Air in absolutely every respect, making that £80 difference bigger than it may at first seem. The Retina Mini is now our favourite small tablet, beating the Google Nexus 7 to that coveted second spot in the list of the best tablets you can buy right now, and narrowly missing out on the overall top spot, which remains the lofty perch of its bigger brother, the iPad Air. But if, like us, the size and feel of the Mini is of most importance, it offers such a boost in performance and display quality, it's worth the upgrade. The Retina resolution feels like the missing piece of the Mini puzzle and keeps it at the top of our tablet table. We thought the iPad Air was a stunning piece of technological invention; this just takes all of that goodness and puts it into a device that's more manageable in more real-life situations. We love it. 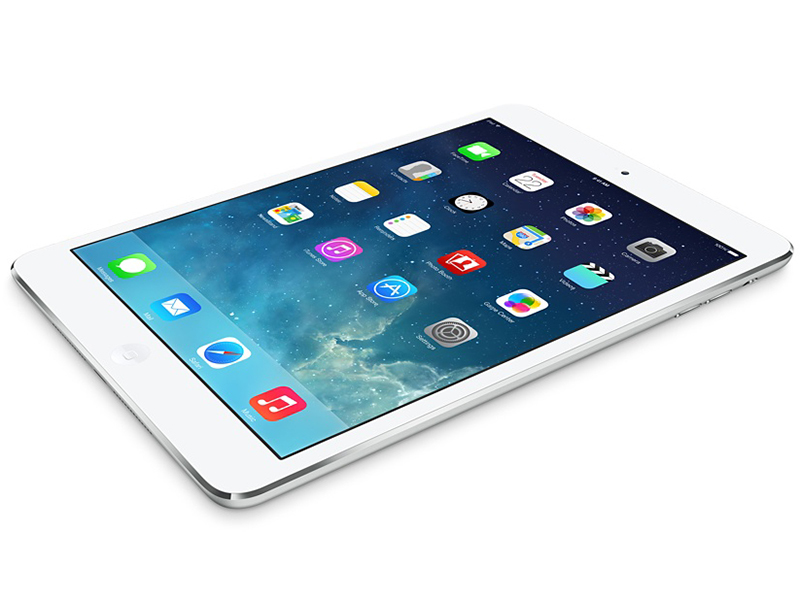 Just like the iPad Air before it, the iPad mini 2 has a strong case for being crowned the best tablet in its class. However, the iPad mini 2 comes with a serious set of solid and very price-conscious competitors. The iPad mini Retina has improved exactly where it needed to. Better screen, better camera and much faster processor are all present, but it’s not a wildly different experience from the original iPad mini. That’s no bad thing as the iPad mini 2 is one of the best small-form tablets on the market, even if the extra cost is a little hard to justify. In the course of a year, the iPad mini has hit puberty, and matured quite a bit. It's an iterative update, for sure, but one that makes it vastly better than the original. Because it now offers a Retina display, fast connectivity and a powerful processor, the mini now shares top-tier product status with the iPad Air. This is precisely the iPad mini we've been waiting for, but it comes with a price hike of $70 over last year's model. As upgrades go, you can’t fault the iPad mini with Retina display. Apple took the two biggest complaints – speed and screen – in hand, and returned with a tablet that looks great, performs great, and still delivers on battery life and portability. The tempting option might have been to dilute the update so as to leave the iPad Air clearly in the lead as the full-sized flagship, but Apple is obviously so confident in the equal allure of each model, it has no reason to artificially delineate the range. The iPad mini with Retina Display is simultaneously a splurge compared with 7-inch Android tablets and one heck of a value in the context of Apple's own tablet lineup. For $100 less than the full-size iPad Air, you get the same sharp screen resolution and blazing A7 chip in a more compact design. So you're paying $170 extra here (up from last year's $120 difference) to get iOS apps rather than Android apps. If you're an iPhone user, or you're attracted by unique iOS exclusives like the Infinity Blade series of games, Toca Boca kids' apps, or the iWork office suite, that investment will probably be worth it. But I think all of those apps play even better on the big iPad. If you're looking for cross-platform applications like Kindle book reading, comics reading, casual games, or Web browsing, you can get them on a great tablet that costs a lot less. That makes the iPad mini a very highly rated tablet, but still not quite our Editors' Choice. 0.328 kg: Este peso es un poco alto para un smartphone. Los smartphones con una gran pantalla y pequeños tablets normalmente pesan casi lo mismo. 90.64%: No existen muchos modelos que sean evaluados mejor. La mayoría de las evaluaciones obtienen resultados que son un poco peores.